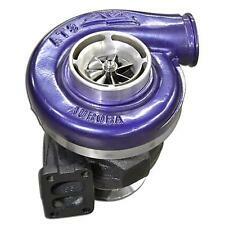 94-98 DODGE RAM 5.9L DIESEL ATS AURORA 4000 TURBO KIT NON WASTEGATED. ATS Diesel. This will result in lower EGTs, high horsepower capabilities, and a more efficient/powerful torque curve. 1994-1998 Dodge 5.9L Cummins 12-Valve (Non-Wastegated). Reduces turbo "bark" due to ported compressor housing design. The ATS Diesel Aurora 4000 Turbo System for 2010 Dodge 6.7L Cummins. System is a T3 flange. Will NOT work with factory Holset style flange. Must be sold with an ATS exhaust manifold! 2500 Big Horn 6.7L Cummins 2013, 2014, 2015 3500 Big Horn 6.7L Cummins 2013, 2014, 2015. Diesel Care review process includes OEM standards, standardized testing, and product verification. Whether it’s for your Ford, Dodge or Chevy, we have top quality parts for your application. 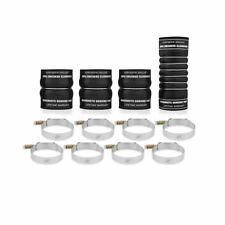 If you are leaking oil or have noticed a drop in turbo performance, this kit may correct your problem. Portions of the part information on this page have been provided by WHI Solutions, Inc. WARRANTYWarranty Duration: 1 Year. And there is no need for head studs with this turbo. Ram 2500 5.9L Cummins 24V 1998, 1999, 2000, 2001, 2002 Ram 3500 5.9L Cummins 24V 1998, 1999, 2000, 2001, 2002. Ram 2500 Custom 5.9L Cummins 24V 1999. Autoplicity was founded in 2003. We will do anything we can to get you the best and right parts. Reach out to us, we will show you why we are automotive experts. They didn't want just a website with parts, but they wanted to have passionate people like them who knew the cars inside and out working with them. 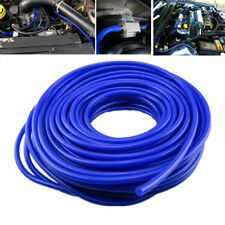 94-98 DODGE RAM 5.9L DIESEL ATS AURORA 4000 TURBO KIT. This will result in lower EGTs, high horsepower capabilities, and a more efficient/powerful torque curve. ATS Diesel. 1994-1998 Dodge 5.9L Cummins 12-Valve. Reduces turbo "bark" due to ported compressor housing design. 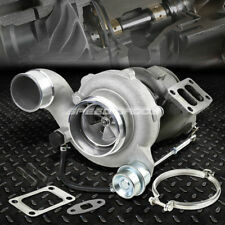 You are purchasing a rebuilt turbo for a 2004.5 - 2006 Dodge Cummins ISB 5.9L application. Diesel Care review process includes OEM standards, standardized testing, and product verification. Whether it’s for your Ford, Dodge or Chevy, we have top quality parts for your application. Precisely engineered cast-aluminum tanks for a perfect fit and built with premium grade materials to ensure product quality and durability. Public Forums. Need to make a change?. Disclosure of Information Policy. Ram 2500 5.9L Cummins 24V 1998, 1999, 2000, 2001, 2002 Ram 3500 5.9L Cummins 24V 1998, 1999, 2000, 2001, 2002. Ram 2500 Custom 5.9L Cummins 24V 1999. APDI 5010002 Water PumpAPDI 5010002. Public Forums. Need to make a change?. Disclosure of Information Policy. Your credit card information is encrypted while traveling the Internet. For their protection, we ask that children do not submit information to us without the consent of a parent or guardian. Manufacturer: ATS Diesel Performance| Manufacturers Part Number (MPN): 202A472272. Ram 2500 5.9L Cummins 600 2003 Ram 2500 TRX4 5.9L Cummins 610 2006, 2007. Ram 2500 Laramie 5.9L Cummins 610 2005, 2006, 2007 Ram 3500 5.9L Cummins 600 2003. Luckily we make a blanket designed specifically for the OEM manifold. The exterior is made from a high temperature and very durable Silicone Impregnated Fiberglass. Another great thing is that it is handmade right here in the USA. The ATS Diesel Aurora 4000 Turbo System for 2007.5-2009 Dodge 6.7L Cummins. System is a T3 flange. Will NOT work with factory Holset style flange. Must be sold with an ATS exhaust manifold! Ram 2500 Laramie 6.7L Cummins 2007, 2008, 2009 Ram 3500 SLT 6.7L Cummins 2007, 2008, 2009. Description 100% Brand New ,never been used 36" JDM Stainless Steel Oil Feed Line Kit 3-way fitting 4AN VS 1/8 NPT to connect engine 1/8 NPT Adaptor - male fitting goes with the block 1x -4AN Fitting built on flange Professional Installation is Highly Recommended Installation Instruction is Included ​ Fitment Universal Fit to Most Turbo Chargers ​ Package include As shown in Pictures Brand Unbranded Manufacturer Part Number Does Not Apply UPC Does not apply Warranty 90 Day. The Components Found In DTPD Turbos Are Sourced From The World’s Leading Manufacturers. Built To Exceed OEM Quality Standards. 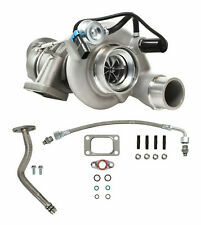 We Provide Exactly The Parts You Need For Your 5.9L Cummins HE351CW Turbo. Fuel Pump Assembly. 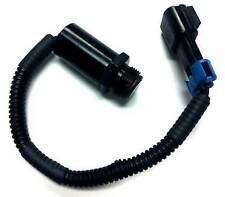 Motorcycle Fuel Pump. High Pressure Fuel Pump. Fuel Injectors. Fuel Pump Strainers. Allows enhanced fuel atomization in the combustion chamber increasingly. Important: We have three warehouses. Large turbo up top. 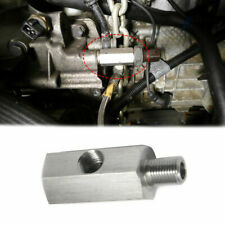 Fits CR Dodge Cummins 5.9L 2003-2007. 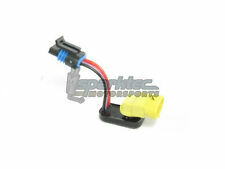 Manufacturer: ATS Diesel Performance| Manufacturers Part Number (MPN): 202A072272. Ram 2500 5.9L Cummins 600 2003 Ram 2500 TRX4 5.9L Cummins 610 2006, 2007. Designed, manufactured and serviced in the USA. HO Intercooled Tuner Kits and higher boost levels are available for modified engines. 1725 Monrovia Ave. Let us work to resolve your problem so everyone is happy. Mishimoto DuraCore™ technology is the synthetic material that comprises the innermost layer of all Mishimoto silicone diesel boots. Compared to normal silicone, DuraCore™ provides superior resistance to heat, pressure, fuel, and oil. Trending at $242.77eBay determines this price through a machine learned model of the product's sale prices within the last 90 days. 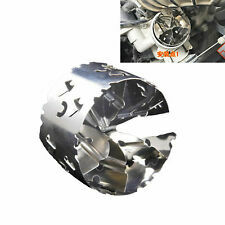 Mopar part# 68039104AA. Fits: 2007 – 2012 Dodge Ram 2500 & 3500 with a 6.7L Diesel Engine. HE351CW Turbo Rebuild Kit Billet Wheel Wastegate Actuator Oil Lines Turbine Shaft Wastegate Solenoid. 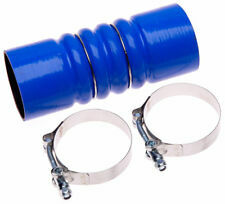 The Components Found In DTPD Rebuild Kits Are Sourced From The World’s Leading Manufacturers. Built To Exceed OEM Quality Standards. 5.9L 2003-2007 Dodge Ram Cummins Diesel. 6.7L 2007.5-2012 Dodge Ram Cummins Diesel. This turbine wheel lowers drive pressure and EGTs while providing more power. The twin scroll turbine housing allows for response and driveablikty with lower RPMs. 64mm BorgWarner S3000 SX-E Supercore.